In the past 38 years or so I have been involved in many aspects of electroacoustics from composition, performance and improvisation, to installations and multimedia work, teaching, administration, production, writing, lobbying and more. Framed by a model that proposes a continuum from the physical to the psychophysical (metric to psychometric), this review, will look at the context for some of my past and current interests and activities, from acoustics and phonetics, to psychoacoustics and aspects of perception and cognition, technological, social, psychological and compositional practice, with extensions into work across media and disciplines. 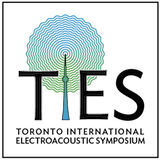 Based on the model that electroacoustics is electricity transduced into sound through a loudspeaker, this overview will examine practice and theory in the conceptualization, production and practice of creativity through electroacoustic means. Kevin Austin has two composition degrees from McGill University, his teachers including Istvan Anhalt, Paul Pedersen, and alcides lanza. Starting teaching at Concordia University in Montreal in 1970, he founded the ea studios in 1971, remains active in curricular development, and has produced 25 years of concerts. His first works were in the studio and this was followed by fifteen years of live ea. In 2002 after a fifteen year hiatus, he returned to composition mixed, ea, acoustic and multi-disciplinary. With Jean-François Denis, in 1984 he wrote the charter for the CEC. The piano’s physical size and shape at times constrains a composer in the ability to transform the instrument’s available timbres in a consistent and convenient manner — especially during performance. Non-traditional sounds — bowing, scraping, and other prepared piano techniques or real-time manipulations are often problematic, with physical changes to the instrument itself impractical or at least requiring extensive planning and rehearsing in advance. With the exception of tape-based (or digital equivalent) music, this often results in the potential palette of ‘colors and techniques’ available, being relegated to or used primarily for “effects” purposes. For the laptop musician, there is the ability to extend the piano outside its physical form and expand its vocabulary — where harmonics, prepared piano, granular tone clusters, etc. all converge into a cohesive whole. Techniques such as [re]sampling, [re]synthesis and other manipulations, combined with active switching between various instrument “types”, allow the electroacoustic composer to write for an instrument sonically expanded. Similarly it allows the performer to utilize this expanded palette of sounds more easily — no longer bound by the physical limitations and constraints that have existed previously. The result is an instrument transformed — [re]constructed into something new, yet immediately familiar. Originally from Calgary, Canada, Paul Connolly studied Art History and Music Composition at the University of Calgary, later furthering his studies at the Recording Arts Program of Canada. He has worked in film, television and radio, worked in both traditional and media based environments, and is active as a composer using conventional music forms as well as creating electroacoustic installations. His recent work with the artist, Derek Michael Besant, has included a series of accompanying soundscapes presented as part of visual art installations shown internationally. Current projects include a series of string quartets influenced by the history of apartheid in South Africa, a choral work “Piece of Peace” to be performed in Latin, Hebrew, Arabic and Hindi, and a DVD release of his compositions, titled “Piano Voce”, USA Release 2007. When not busy working, Paul enjoys spending time with his wife and 2-year-old son and their two pugs. This presentation will demonstrate the ideas and mechanics behind PrimeWind — a Max/MSP ambient sound generator based on prime numbers, and how I used this instrument to create the pillars of my orchestral work Gaia. Prime numbers have been a compositional touchstone for many of my recent works, both electronic, acoustic, and mixed. Gaia was strongly influenced by my experience with PrimeWind, both in terms of quantifiable activity and musicality. Gaia was commissioned by the Toronto Symphony Orchestra, and was chosen by the Canadian Broadcasting Corporation to represent Canada at the 2007 International Rostrum of Composers. Andrew Staniland (b.1977, Red Deer, Canada) is a composer and new media performer whose music is performed and broadcast internationally. Recent commissions include works the virtuoso group Toca Loca, and the Toronto Symphony Orchestra. Andrew’s music has been described as “beautiful and terrifying” (New Yorker Magazine) and as a composer who “will emerge as one of the most individual voices in this country” (National Arts Centre Press Release, November 2002). He holds a doctorate in composition from the University of Toronto, and has received numerous accolades, including top prizes in the SOCAN young composers competition, and the 2004 Karen Keiser Prize in Canadian Music. Staniland is currently Affiliate Composer with the Toronto Symphony Orchestra. Electronic or digital art can be strongly limited or influenced by the commercial agendas of computer software companies that develop the everyday tools used by the electronic artists. Being copyrighted, the development of the code in proprietary software becomes subject to the commercial supply and demand which is highly influenced by the commercial music industry and it's aesthetic trends. Most of the proprietary software available for music and audio production/creation has a strong emphasis on facilitating production/composition techniques that make it easier and faster to create a product in accordance to the current commercial trends (i.e. specific sound transformations, loop and pattern based composition). The Open Source model of software development can provide a framework and encourage the electroacoustic music composer to explore and develop a personal aesthetic outside of the possible influence of commercial trends, and without having to tie his/her creative exercise to a financial budget. Open Source Software can. Community and socially oriented, Open Source software can also create a context for the electronic artist that influences her/him, in a positive way, towards a global consciousness. Here I recount how these Open Source tools have allowed me to get immersed into the electroacoustic music field, how they relate to my personal philosophical/aesthetic views and by showing personal concrete examples I will illustrate some of their technical and creative possibilities. Hector Centeno studied music composition at the National Autonomous University of Mexico. His chamber and orchestral music has been performed in concert venues and festivals in Mexico where he also received a year long composing grant from the National Council for the Culture and Arts. His committed practice and study of Zen Buddhism (which includes a year long retreat at a Zen Temple in Toronto) in combination with his long time interest in computers and sound recording influenced his recent incursion into electroacoustic music. In this field his music has been performed as part of the Sounds Electric ’05 Festival at the National University of Ireland. He is interested in combining the programming of his own sound processing computer instruments and its intuitive performance, using a mix of soundscape recording and processed sound improvisations which become part of a meditative and subconscious exploration of sound. He is also interested in supporting and promoting the development and use of socially aware computer tools (i.e. Open Source software) in the music and art production. Even though alternate musical controllers such as the Electronic Wind Instrument (EWI) significantly extend the expressive range of MIDI synthesizers and software virtual instruments, the computer-based editing and manipulation of data produced by these controllers has remained in an undeveloped state. A primary problem has to do with the binding of note data to expressive information such as breath controller and pitch bend data. MIDI, originally designed as a real-time performance protocol, has very weak binding of such data into higher-level musical structures; so weak in fact that even note endings are unconnected to their beginnings. The author describes a binding paradigm and data structure which addresses this problem and which has proven very effective in the manipulation of recorded EWI MIDI performance. Four further challenges — data integrity, spurious notes, erratic velocities and inaccurate rhythm — are described along with the software solutions which have been developed to deal with them. Prof. Bruno Degazio ’s film sound design includes the special-effects audio for the Oscar nominated documentary film, The Fires of Kuwait and music for the all-digital, six-channel sound tracks of the IMAX films Titanica, Flight of the Aquanaut andCyberWorld 3D. His many concert works for traditional, electronic and mixed media have been performed through out North America and Europe. Degazio is the designer of MIDIForth and The Transformation Engine, a software musical composition system with application to algorithmic composition and sonification. The development of software environments for transforming and composing sounds is an important by relatively undocumented element of the tradition of electronic music. Since 2000, the focus of my research in music technology has been on the development of two such environments: Allegory, for the functional composition of “tape” transformations, and Analogy, for the performance of DSP patches in a live electronics context. In addition to discussing how these environments respond to the needs of my artistic practice and demonstrating their use, I will outline the main avenues of future development, including the incorporation of music information retrieval techniques. Composer, guitarist, and electronic sound artist David Ogborn was born in South Australia and emigrated to Canada as a child, where he received his formative musical experiences as a guitarist in Winnipeg’s thriving jazz scene. He studied composition with Michael Matthews and David Scott at the University of Manitoba, and with Christos Hatzis, Chan Ka Nin, and Gary Kulesha at the University of Toronto. His compositions, many of which confront virtuosic acoustic performers with new, electronic media, have been presented by the Manitoba Chamber Orchestra, the Winnipeg Jazz Orchestra, New Adventures in Sound Art, Tapestry New Opera, and the collective angelusnovus.net, of which he is a founding member. The premiere of his live electronics score for Fritz Lang's silent film Metropolis was a featured event at the Esprit Orchestra’s 2007 New Wave festival. Ogborn recently completed a one-year post-doctoral teaching fellowship in the humanities at the University of Toronto, during which he led a six-week workshop on the art of soundscape composition and taught a seminar on the life and works of Italian composer Luigi Nono. He is an Associate Composer of the Canadian Music Centre, and an active member of both the Canadian Electroacoustic Community and Toronto's InterAccess Media Arts Centre. Founded in 1959, the Canadian Music Centre is Canada’s primary place to find the music of Canadian contemporary music composers. Housing Canada's largest collection of Canadian classical music works, the CMC exists to promote the creative output of its almost 700 Associate Composers both in Canada and abroad. The Centre makes available for loan, purchase or rental a steadily growing collection of 18,000 works through its library system and online via its website at http://www.musiccentre.ca. Over the last five years, the CMC has launched several significant changes to its organizational and operational structures that make the delivery of its services, programs and projects more accessible and relevant to the electroacoustic community. More specifically, CMC’s various digitization projects, online library database and distribution / retail operations provide improved means by which CMC user groups may access the work of electroacoustic composers. Future phases of improvement will further ameliorate the conditions and tools through which the CMC will expand the global promotion of Canadian music, including electroacoustic genres. CMC National Librarian Michelle Arbuckle and Ontario Regional Director Jason van Eyk will give an overview of both the current and planned improvements to the CMC’s operations and how they affect both current and future Associate Composers who work in the electroacoustic field. Time will also be dedicated to soliciting feedback and input from symposium delegates as to how the CMC may continue to forge ahead into the future of music. As a composer, I have long been sensitive to the sounds of the natural world. The sense of awe I have felt growing up near the wilderness in B.C. underlies the creative energy that fuels my compositional aesthetic and identity. Pilgrim at Tinker Creek by Annie Dillard, a journal of living in nature, strongly resonates with the wellspring of my own creative expression, particularly her articulation of the awe-full-ness of the natural world. I have thought many times of setting Dillard’s text to music, but somehow, I couldn’t get past the sense that turning her words into melodies would diffuse their impact. In 2001, I came across an unfinished manuscript of Henry David Thoreau. Wild Fruits is a journal of observations of the natural environment he lived in. His entries were added over several years, somewhat haphazardly, organized into chapters that each focus on a particular fruit. The writing is quirky, sometimes digressive, mostly based on acute readings of evolving conditions as he found them. As with Dillard’s book, this book is highly representative of Thoreau’s identity as a writer, strongly rooted in the natural world. In 2002, I was able to begin a parallel process to that of Dillard and Thoreau, making recorded “observations” of sounds in nature as I found them. The creative work I embarked upon was to set text fragments from these authors into composed soundscapes. From the outset, I decided that my works needed to be multi-channel, in order to immerse the listener in the audio environment. I have explored various strategies for presenting spatialized sound, and for processing the recordings in order to develop a continuum of materials, from the realistic to the fantastical. James Harley is a Canadian composer of acoustic and electroacoustic music, presently Associate Professor at the University of Guelph. He obtained his doctorate at McGill University in 1994, and prior to that spent six years in Europe, studying with, among others, Iannis Xenakis. Harley’s music has been awarded prizes in Canada, USA, UK, France, Poland, Japan, and has been performed and broadcast in various countries around the world. He has been commissioned by numerous organizations in Canada and elsewhere. A number of Harley's works are available on disc and his scores are primarily available through the Canadian Music Centre. Following World War II, the government offered to pay 90% of the cost to build highways in the U.S. This changed the American landscape quickly and dramatically. Neighborhoods and farms were destroyed and millions of people were displaced. Initially, a method for evacuation and troop movement, highways became the preferred method of transportation out of cities and into suburbs. In the 1960s–1970s, citizens began to fight back. In Baltimore, although demolition had begun, multiple highways were stopped before they destroyed the 1000+ Leakin Park. Instead, now the Gwynns Falls Trail follows much the same route through the park to downtown. To commemorate the citizen action that saved the park, as well as its soundscape, I created an outdoor sound work entitled “What is Now and What Could Have Been.” Beginning and ending with the sounds of the park now, the middle of the composition consists of the sounds of the highway that could have been, slowly fading in and taking over. Car horns blare and sirens scream as the cars overpower the delicate natural soundscape, causing people to question and further appreciate the park, both visually and sonically. In the paper/presentation, details about the recording and technical elements of the piece, Creative Commons licensing, and technicalities of an urban outdoor installation will be explained. In addition, excerpts of the work and my ongoing audio documentary of this citizen action in Baltimore and the effect of transportation on urban neighborhoods, will be played. Elsa M. Lankford is an Assistant Professor in the Electronic Media and Film (EMF), Radio/Audio track at Towson University, north of Baltimore, MD, where she teaches audio and sound classes. She is an interdisciplinary artist and composer working with sound, music, photography, and writing, primarily focusing on urban and suburban issues. She currently has two sound works installed in Baltimore: “Past Revolutions (Waterwheel)” which brings the Leakin Park’s waterwheel sonically back to life and “What is Now and What Could Have Been.” She is currently working on an audio documentary focusing on the past and present state of urban transportation, beginning with the citizen action which brought Baltimore’s planned expressways to a grinding halt. Elsa has her bachelor’s degree in Music & Technology from American University and a MFA in Interdisciplinary Art from Goddard College. More information can be found at http://www.elsalankford.com. My recent musical compositions and sound art pieces explore the connection between the human condition and acoustic ecology. In these works I have aimed to address questions that I think are crucial to improving the physical, philosophical and spiritual connections between humans and the natural environment. My intent has been to provoke or inspire my audience’s curiosity about their personal relationship with their sonic environment and their presence in the world as equal cohabitants with the millions of other species that share the biosphere. In the context of discussing this work I will examine the idea that the listening techniques essential to our early hunting and gathering ancestors, subsequently adapted to the activity of listening to and creating music, can be re-utilized to listen to the natural world with more refined attention. I will explore the relationship between speech and music and how musical practice serves as a proxy for our learned ability to listen to and communicate with the millions of species that co-exist with us. I will propose that because musical practice fulfills a unique function as a cultural storage cell for latent listening skills that are crucial to a fuller understanding of the natural world, the role of the sound artist and composer as skilled listener and communicator, is pivotal to the future ecological health of the planet. Paul Scriver is from Montreal Canada. He divides his time between there and San Francisco, California. He is an improvising musician, composer and sound artist. He is a graduate in composition from Concordia University, Montreal and has a Masters of Arts in Music and a Master of Fine Arts in Electronic Music and Recorded Media from Mills College, Oakland. His recent pieces explore the timbral possibilities of unexpected combinations of instruments, some attempt to articulate spiritual considerations in non-liturgical musical language. Recently he has been combining instrumental improvisation with field recordings as an approach to composition. Much of his inspiration for musical creation arises from his observations of nature. His recent installations have attempted to bring attention to the disconnect between the contemporary human existence and the natural world. This article describes a project to sample, analyze, and create a composition of computer music simulating the gamelan instruments Kemong, Kempli, Jegogan, Gong, Calung, Gangsa, and Reyong. Central to the project was analyzing pitch frequencies, and simulating the harmonic beating which takes place between the Sahnsi and Polos of several instruments. The procedure for sampling the instruments and also utilizing a software synthesis application to analyze the sounds will be described below. A composition by Akito Van Troyer employing additive synthesis techniques was created, and details of the composition implementation including novel procedures for employing table look-up functions to control rhythm, tempo, and duration will be explained. Akito Van Troyer attends the University of Hawai‘i at M?noa and is active in Javanese Gamelan Ensemble under the direction of Byron Moon and Pak Hardja Susilo. He is also very active in interdisciplinary approaches to arts and technology, and has taken classes in acoustics, multimedia, computer music, and Asian studies. He frequently performs with his band Junk Magic. Jim Hearon is currently Assistant Professor of Music at the University of Hawai’i at M?noa, and has been teaching music technology there since 2005. He came to Hawaii after working in the music industry for over ten years at Euphonix, Inc. of Palo Alto, CA and also Dolby Laboratories, Inc. of San Francisco. Jim has several years of teaching experience at colleges and universities in the United States and abroad. He is a strong improviser on electric violin and is interested in real-time, interactive, and multimedia performance applications. On days when he is not researching or teaching, Jim can be found in the Pacific Ocean off Waikiki Beach riding his longboard. The Springboard is a homemade electroacoustic instrument that produces a wide variety of compelling sounds. In this demonstration Leonardson shows how a simple, inexpensive device—a piezo disk contact microphone—and a fortuitous choice of readily available materials has enabled the discovery of a surprising range of unusual and spectrally complex sounds that he uses for music composition, live performance, and media art. Since its invention in 1994, Leonardson has established an active and unique sound art practice with this instrument: a vehicle for direct manipulation of physical and sonic materials inspired by the tape works of Iannis Xenakis, the ideas of John Cage, the (unfulfilled) promise of electronic media, and developments in the fields of radio art and acoustic ecology. In addition to its role as instrument, the Springboard serves as a convincing pedagogical tool for the children and adults, particularly for those interested in handmade electronic music. As an audio transducer the piezo disk’s inherent reversibility (e.g., from an input device to an output device, or from “pickup” to “driver”) enables one to transform the vibrations of any solid object into an audio signal, and vice versa, from audio signal into a vibration. Thus a handheld tape player or radio with an audio output can be used to activate the Springboard. This serves as one of many playing techniques that will be visually and sonically demonstrated; including the bowing of coil springs and wood sticks, as well as the use of friction mallets. Eric Leonardson is a composer, sound designer, and radio artist with a background in visual art. He co-founded the Experimental Sound Studio in 1986, the Midwest’s only not-for-profit sonic arts organization, where he coordinated Sounds From Chicago, one of the city's first internationally broadcast radio art programs. He is a founding member of Plasticene, one of Chicago’s most respected physical theater companies, designing and performing sound and music for all its productions since 1995. Leonardson’s musical efforts are distinguished by the unique sounds of his self-built instrument, the “Springboard.” Made of inexpensive and readily available materials, its rich sounds belie its humble origin, once described as “...ritualistic music, electronically synthesized industrial vibrations miraculously created with ordinary household objects....”—Carol Burbank, Chicago Reader. Leonardson teaches in the Department of Sound and First Year Program at the School of the Art Institute of Chicago. The classical concert experience, after centuries of refinement, is defined, for the most part, by its incredible ability to separate the music from the soundscape, to attempt limit most sensory input with the exception of hearing. There are informed and eager listeners who have little desire to listen in this format, and whose experience with organized sound is solely schziophonic, that is, by hearing most of their music divorced from its original sound source, either over loudspeakers or earphones. With this realization came a need, on my part, to explore how I was communicating, to consider somatic, visual, and interactive elements in my work; and with this exploration came my sound installations. In my latest works I have been considering this: what role can the listener play in divining the meaning of the work? Can a piece of music be a dialogue between the composer and the listener? In my sound installations: Wandering Sacred and Unearthed, location, physical movement, text and soundscape are used to explore these questions. Text and soundscape are used in such a way as to engage the listeners’ psychoacoustic response to familiar sounds, and their desire to make sense of the syntax and content of words, while physical movement and location are used as context to suggest possible connotations of the work. It is in these ways that I enter into a dialogue with the listener. Micheline Roi — composer and sound artist, studied McGill University where she received her Master of Music in composition, and later at Stanford University. Aesthetically, she considers herself an inclusionist, readily drawing on sound and many musical idioms to portray emotive sound. She has designed and written sound installations, radio art and concert music. Her music has been exhibited and broadcast world-wide, and has been commissioned and performed by many great Canadian ensembles. Her honours include the Rudolphe Mathieu Award in the CAPAC young composers competition (1990) and the Godfrey Ridout Award in the SOCAN competition for young composers (1992). She has received awards and commissions from the Canada Council for the Arts, the Laidlaw Foundation, the Ontario Arts Council, Toronto Arts Council and the Chalmers Family Fund. Her current work is an interactive audio and video installation using participants’ walking movement to spatially diffuse sound and video. The installation will explore the meanings of innocence: blamlessness; chastity; simplicity and ignorance. The presentation begins by delving into the situation of the composer, who is not a programmer, using software such as Max/MSP. How can musical ideas be realized and how can there be a process of creative exchange between composer and the programmer? The question is not new, and there are a number of precedents for such situations over the last 50 years of electronic music, such as in some of the works of Luigi Nono, Luciano Berio, Pierre Boulez etc. In such a collaboration, the role of the software designer (or technical assistant) is analogous to an instrumentalist in a classical sense: their role should give an interpretation to a live-electronic score, and the composer also has to know generally what is possible and what is impossible, but need not be able to play the instrument in order to write for it. As an example, a live-electronic-patch that was developed in accordance with the composer’s intentions will be demonstrated. This MSP-patch allows live-recording and the common transformations like ring-modulation, filtering, and delay. In particular, it also has a phase-vocoder that allows time stretching and pitch shifting in real-time. After a short demonstration (audio and video) of all these treatments and their handling in a musical context, the composer will show how they were utilized in the creative process. As a musical example a piece for 4 instruments will be analyzed. The score is 100% defined and each musician has their own Laptop, each with its own individual MSP-patch. These provides 4 stereo-outputs to mix into the concert space. Each performer controls their own computer, but none require special technical knowledge. Each can work their own part at home as they would with a traditional instrumental part. However, for group rehearsals and the concert there is a new problem: the synchronization of the four parts. A short demonstration will show the possibilities of different solutions, with or without conductor. Finally after these experiences the composer will address some thoughts around the theoretical or philosophical aspects of live-electronics in music, such as: when does a real-time process really offer a chance for new and real musical expression, and when does it not. So Jeong Ahn was born in Seoul, Korea and studied composition at Seoul National University and at Hochschule der Künste Berlin, Germany. Her compositions have been performed at various music festivals and concerts in Asia, Europe and North America. She has been awarded prizes by the Martirano Composition Competition in the USA and Tsang Houei Hsu Composition Award in Taiwan. Her recent work has been selected by the festival Signal and Noise in Vancouver, Canada and by the Vox Novus at the A’ Devantgarde festival Königsplatz München, Germany. She is living in Toronto, Canada and working on the new project commissioned by the New Music Concerts with Canada Council. My decision to become involved in electroacoustics was largely due to my fascination with the movement of sound. In my journey through various projects, I gradually became frustrated with composed spatialization. I wanted to perform spatialization with multiple instruments (whether they be live or on tape). I searched for software/hardware/otherware to do this to know avail. They were either not designed for real-time use, severely cost prohibitive, not performable or all of the above. I was searching for a performable ‘spatializer’ and could find none… so I made one, then two, then another and I am still adjusting and improving on the work I started four years ago. In the presentation various ‘spatializers’ and spatialization techniques will be touched upon in order to describe why I chose to go the route I did. I will present the line of work I have done using MaxMSP to create a performable ‘spatializer’ for multiple inputs. Finally, I will give various criteria and obstacles to live spatialization along with possible futures. musical performance and more. In September he will begin studies towards a Master’s degree in composition and sound design at the Sonic Arts Research Centre at Queen’s University in Belfast, Ireland. This presentation will involve a discussion of my Piece for Saxophone Quartet and Live Electronics, focusing on the aleatoric techniques employed in the 1st movement. Inspired by the Canadian poet Karen Houle’s poem “Ferromagnets, the Everyday Ones, Reverse,” the music draws from the poetry a sense of magnetism, of attraction and repulsion. This transference is applied musically through the constant expansion and contraction of a variety of musical parameters and formal elements. Overall, the work exhibits a movement from tonality towards noise and acoustic sound towards electronic sound, followed by the reverse process. In the 1st movement, a method of aleatoric notation in which the players read the music both vertically and horizontally effects an expansion from rhythmic stasis towards rhythmic complexity verging on chaos, though the players remain in strict time. As well, the use of electronics adds further layers of rhythmic complexity. In addition to the above, I will provide an overview of the use of live electronics throughout the work and a brief discussion of some of the Max patches utilized. Originally from Edmonton, Mark Nerenberg completed both a Bachelor of Music and Master of Music in Composition at the University of Alberta. He studied piano with Richard Troeger, Helmut Brauss, and Haley Simons. His composition instructors included Howard Bashaw, Malcolm Forsyth, and Laurie Radford. Mark currently resides in Toronto where he is working towards a D.M.A. in Composition, studying with Christos Hatzis. His ?compositions encompass a wide range of styles, genres, and techniques, ?including instrumental music, electronic music focusing on interaction ?between computers and performers, and multimedia works. Many recent works have involved collaborations with artists from varying disciplines, including Piece for Painter, Marimba, and Live Electronics, Piece for Saxophone Quartet, Video, Poetry, and Live Electronics, and Resonance (Suite for Solo String Instrument ), choreographed by Miriam Esquitin and performed by the ORCHESIS dance group. Mark’s music has been performed in Canada, the United States, and Europe.